Increased moment of inertia (MOI) is a term that most golfers have keyed in on when discussing driver heads, but what about with a putter? Back in 2014, Cure used the PGA Merchandise Show to introduce new putters to the world that would key in on that very thing. Each year the company has grown to offer more models, and now in 2017, they offer six different head designs, as well as some variations in head color and shaft position. Along with the expansion of the CX (Classic Series) lineup, Cure continues to make some improvements to the RX Series, which is the extension of their original design. 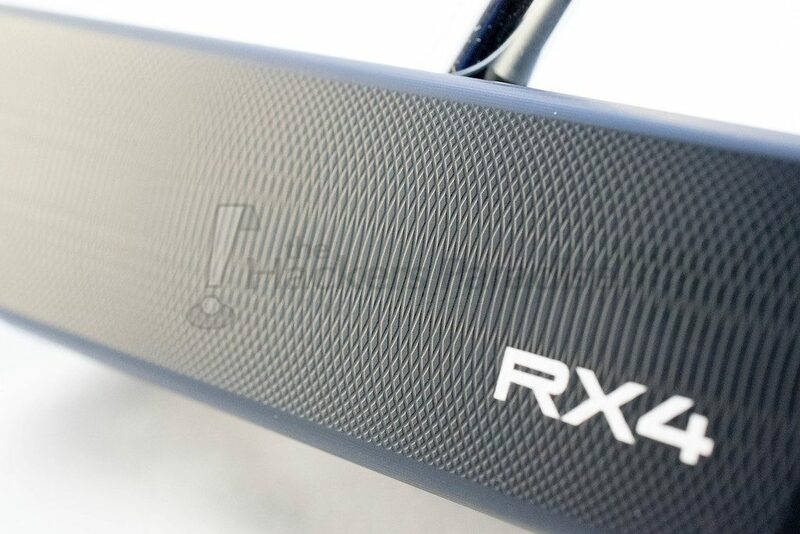 The RX4 is the midsize putter in the RX Series. The RX4 has a 5.5“profile, featuring extremely High MOI, a wide range of adjustable weight, an adjustable lie angle and Cure’s new T-Bar alignment. 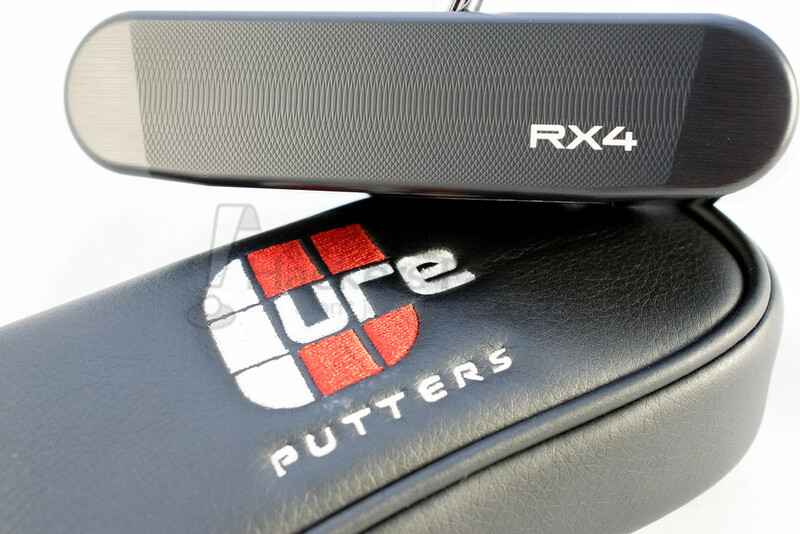 The Cure RX4 has extremely High MOI which delivers incredible stability throughout your stroke, helps you square the putter at impact and offers unmatched forgiveness on mishits. 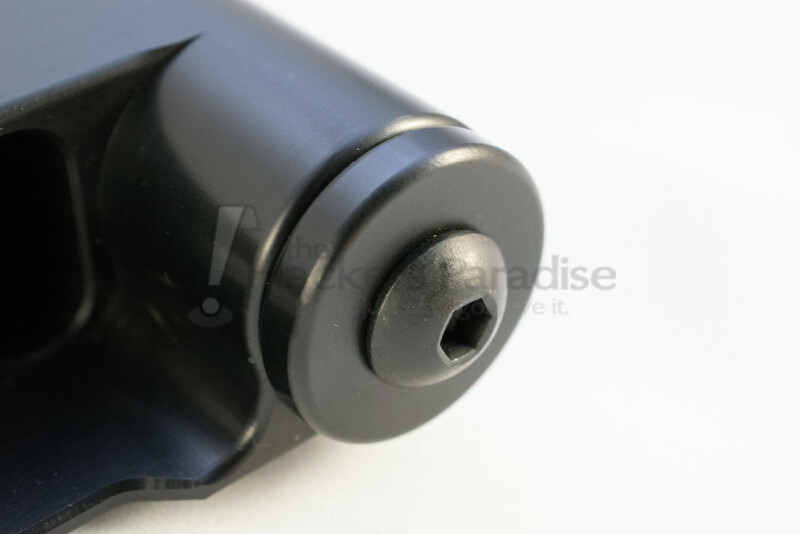 This translates to better distance and directional control and improved consistency. Like all RX Series Putters, the RX4 features a higher center of gravity, lower loft, and a deeper face that impacts the ball at the equator, eliminating backspin and creating a lower, more consistent launch angle and superior forward roll, helping the ball stay on the intended line. Talk to almost any golfer about their round, and the tales of subpar contact with a driver or iron are bound to come up in the conversation. There may be some time spent bantering about a putt that lipped out and a how a three putt reared its ugly head at an untimely situation, yet there is not much focus on mishits with a putter. In reality, that probably gets tossed aside because there are many elements that come in to play in order to make a putt, but also because it’s such a short stroke, that the idea of a contact away from the center causing a ball to either come up short or veer offline, just doesn’t equate. That is what the high MOI design of the Cure RX lineup is made for, to help keep the ball on the target line without losing as much force when contact is made away from the sweet spot of the putter blade. Measuring in a 5.5”, the RX4 provides a lot of workable real estate for one to put a good stroke on the ball without having to worry so much as to where the point of contact will be. Easily one of the coolest features of the Cure RX putter line, is how much players can fit the putter to their preferences. Starting with the lie angle, it can be self-adjusted from an overly flat 62°, to a very upright 80°. It allows golfers to obtain a blade that will lie flat on the putting surface no matter how one addresses the ball. This is just one key element in the journey to more consistent putting. 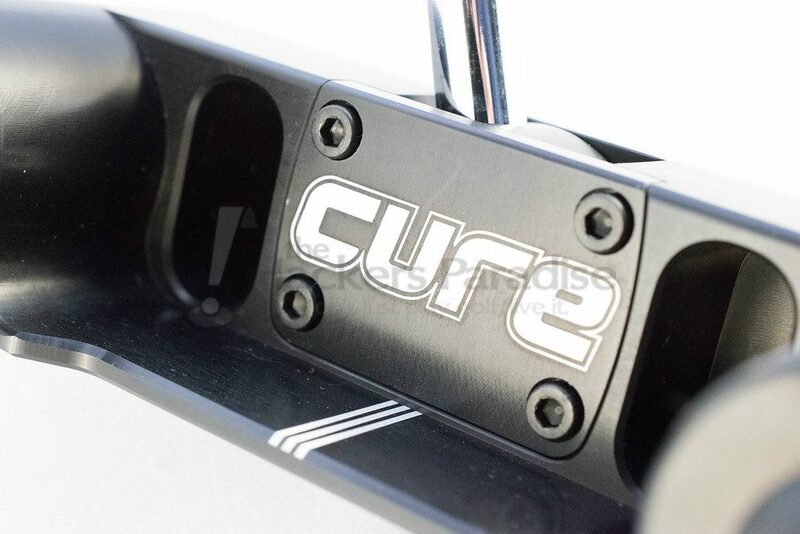 To coincide with the lie adjustments, Cure has also given the ability to change the weight in the putter, and not just by a slight 10 or 15 grams, but by over 250 grams (with the extended weight kit). Having this much weight adjustment is not just about getting the heaviest putter out there, but instead giving golfers the chance to find the perfect weight for their individual stroke. After spending an extended stretch with the RX4, the performance stands out against the competition in two areas. In essence, it is the combination of these two traits, which lend a strong belief in what Cure has to offer. First up is the speed control that players achieved with this putter in hand. Long putts of over 25 feet is where it really shined. At times those long putts can cause golfers to put a bit too much in to the stroke, which leads to some inconsistent distance control. This is part of where the extra weight and MOI really seems to pay off, as it leads to those second putts coming from closer proximity to the hole. The second part of the story comes on those shorter putts, because the blade can be set up to be so heavy, that those four and five-foot putts become a little less nerve-wracking. For someone who utilizes an arced putting stroke, there are times that closing the toe a bit too fast, or too late, can cause more noticeable issues on short putts. It might not be any worse than on longer putts, but when stepping up to a five-foot putt, there is an internal expectation that the ball should find the bottom of the cup. Getting the RX4 set up to be a heavier than normal model, it provides much more stability in the putter head that it feels like a golfer has better control over what the head is doing at impact. Going through a case of the putting yips is no fun, and while the move to a putter shape this unconventional might seem like a drastic step, there is something to be said about gaining confidence that a two putt is achievable from any position on the green. One area in which Cure continues to improve pertains to the audible feedback in which the RX4 presents. Just two releases ago, these RX series putters produced a hollow ting of a sound, which was quite often a characteristic that golfers had an internal struggle with. Flash forward to the 2017 releases, and the sound has been improved so much, that it takes a much less prominent role in the conversation. In an audio test, which can be listened to here (Cure Audio Test), it is very easy to catch the drastic transformation that the RX sound profile has gone through. Wielding a putter blade of this size, weight, and with this sound, delivers less feedback than one might desire. For example, when making contact with a traditional, low MOI blade putter out towards the toe, there is a certain feel that comes with that, as the putt will have that dead sensation, while the twist of the club is felt in the hands. Make the same stroke and contact with the RX4 and the putter head remains incredibly stable through impact, while the sound profile is much more consistent, resulting in a feel that is remarkably similar to center contact. Also, thanks to the extra weight and high MOI, when the strike comes away from the center, there is enough mass behind the ball to get it on its intended target line with optimal speed control. In short, what the RX4 lacks in feedback, it easily makes up for with its consistency. Pulling the Cure RX4 putter out of the bag on the practice green might initially draw some cheeky remarks from some playing partners, similar to what one might hear if they choose to dress in some bold, bright colors or flashy designs. With both a look and size that stand out, there are bound to be many questions about what this putter actually is. There are many things to discuss when trying to describe the RX line, with the main points being that it is a very customizable, forgiving putter, which aims to deliver a much more consistent putting experience than one gets with a traditional blade. Often times putting becomes a game of inches, and with the high MOI design here, it looks to make those burned edges, that are the result of a small mishit, a thing of the past. Will players notice a night and day difference after a few rounds? Probably not, but stick with it and the number of putts that this saves will start to add up. 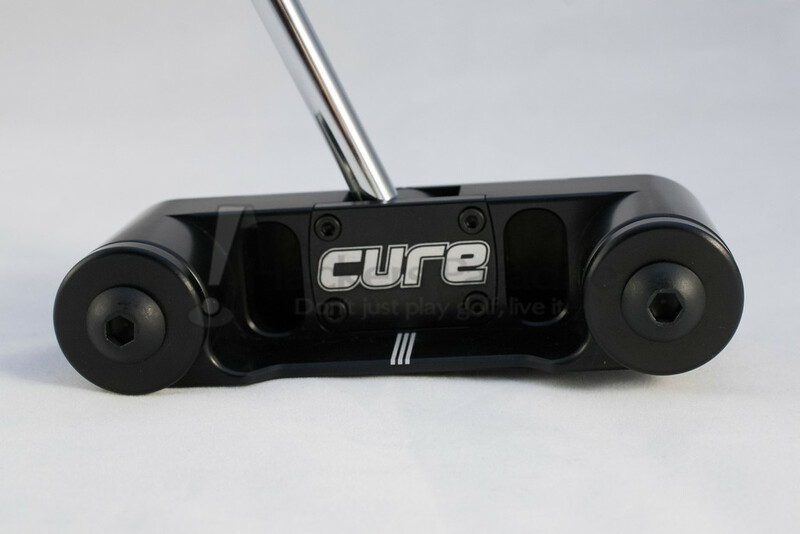 When picking up a RX putter from Cure, golfers now have the option of purchasing in either a red or black model, like the one used for this review. Whichever color one wants to choose, the price tag remains the same at $289. More information on the RX line can be found at www.cureputters.com. Really glad they greatly improved the sound from their first generation putters. Honestly have not even looked at one since then in large part because of that. The amount of lie angle adjustment possible is abcolutely insane. Great review, Dean, and I appreciate the video. I am a believer in what Cure is doing. It is impressive to me how much their putters can minimize the less than perfect contact we often have on short putts. Great review. CURE has really improved the aesthetics since their initial offerings. 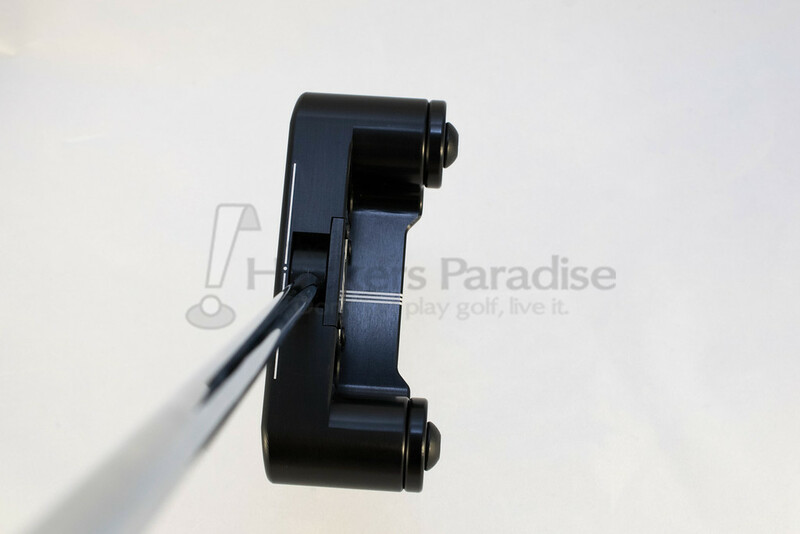 While not a traditional “look” the adjustability and high MOI of the RX4 should help golfers drop more putts. I really enjoyed this review, and liked the addition of video here. I like the shape here a lot, and it’s great to see the sound has been getting better and better. I need to spend some time with one of these and dial in the adjustments to me and give it a shot – I’ve never been able to get along with the RX series in just a few swings, but I am guessing that’s mainly because it’s just so much of a departure from what I’m used to. Great review Dean! Love the look of the face of the putter, but I think the head would be too big for me to game. Another fine write up Dean. Coupled with the video this was over the top comprehensive. I enjoy the T Bar alignment system as well, I definitely think it would be beneficial for me. I think what separates Cure from everyone else is the level of adjustability/personalization that you can do with the putter from the weight changing using the adjustable weight kit to the lie adjustments it’s such a fantastic option for the regular golfer. The laser etching and milling on the face is a great touch as well. Nice review Dean! You can really tell the difference in sound in the video (compared to the original models) – a little “click” vs the loud “ting” from before. If anyone tries these putters, I hope they take the time to hit a lot of putts at each of the different weights; I remember the Cure guys saying it takes a while to find what weight is optimal for each player, but everyone will find a weight combination that is best for them. I love the improvements they’ve made to their entire lineup!